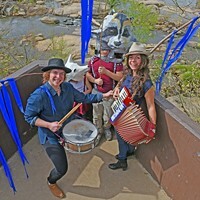 Crunch Time | Cover Story | Style Weekly - Richmond, VA local news, arts, and events. What you should know about the 7th District race, one of the most closely watched congressional races in the country. 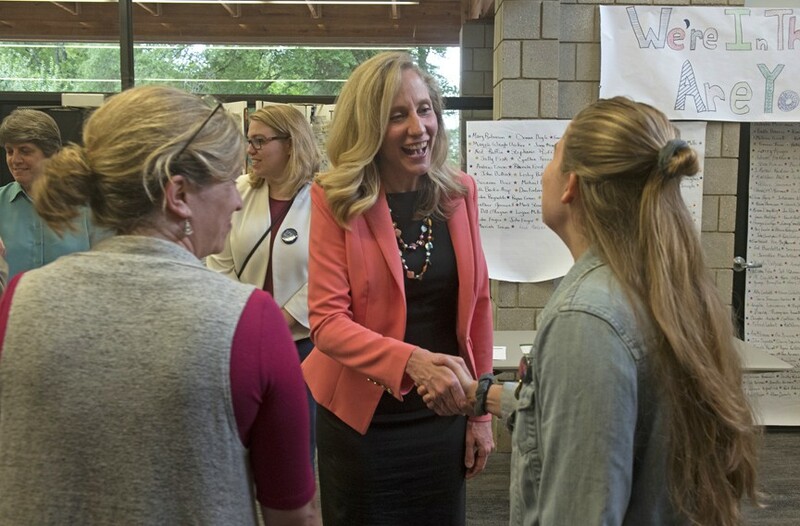 Coffee kicked off the closing lap of congressional candidate Abigail Spanberger's campaign last week, a 10-day, 10-county tour aimed at showcasing her availability and accessibility. The tour started in Amelia County, toward the southern end of the 7th District, and will take her bouncing through the counties of Powhatan and Goochland, Culpeper and Orange, Chesterfield and Louisa. It's scheduled to wrap up Friday, leaving four days till Nov. 6. The morning visit in Amelia at Hatcher's Dining and Catering was one of more than 140 campaign events as of last week for Spanberger, the Democratic candidate challenging Republican incumbent U.S. Rep. Dave Brat. "I always tell people to go compare our calendar and compare the congressman's calendar," says the communications director for the Spanberger campaign, Justin Jones. "The congressman — he's hard to find." Brat, of course, has been campaigning too. 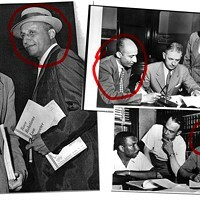 But his on-the-ground efforts seem to pale in comparison to his challenger. The Brat campaign had no events listed on its Facebook or website last week. Brat's most recent mention of an event was Oct. 20, a Richmond stop with Vice President Mike Pence. And that was in support of someone else's candidacy — 4th District Republican Ryan McAdams, who's trying to unseat Democratic Rep. Donald McEachin. 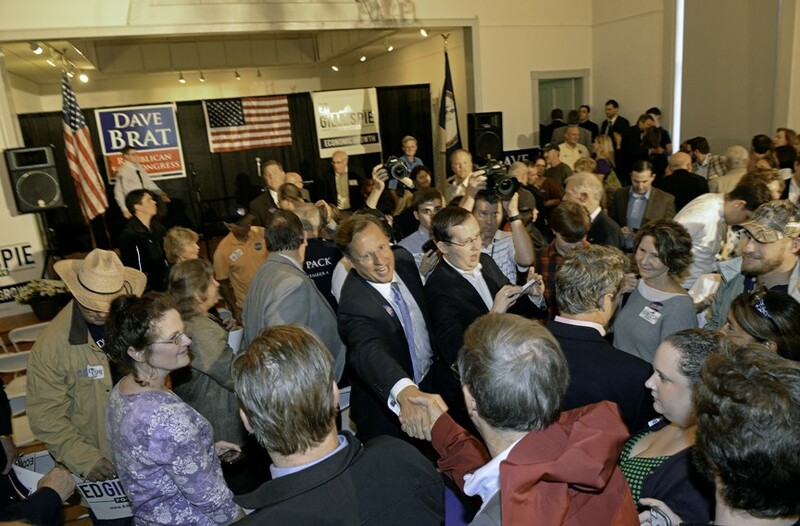 Republican congressional candidate Dave Brat works the room following a campaign appearance in Ashland in 2014, prior to defeating Eric Cantor. Television is another story. Radio, too. Last week Brat appeared on "The Mark Levin Show," was interviewed during "America's Newsroom" on Fox News, chatted with Maria Bartiromo on Fox Business and tweeted a thank-you to Fox News host Laura Ingraham for her endorsement. The coverage helps him get his message out, but it also plays into his critics' story line that Brat revels in media appearances over town halls in his district. Brat's most recent town hall was Sept. 28 at the Henrico County government complex, which the Washington Post noted was his first in more than a year. "He hasn't done a lot of focusing on his personal constituency," says Alex Keena, an assistant professor in the department of political science at Virginia Commonwealth University. And town halls really do matter, he notes. Brat should be familiar with the out-of-touch charge. 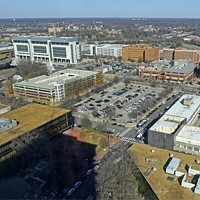 It's one of the main factors credited for helping Brat, when he was a Randolph-Macon College economics professor, oust longtime U.S. Rep. Eric Cantor, who seemed destined to become speaker of the House of Representatives. The surprise upset, in the 2014 Republican primary, made national headlines. But, Keena wonders, has Brat taken his own availability for granted, leaving him vulnerable to the issue? "It kind of seems like Brat set that trap for himself," he says. The Spanberger campaign is all too happy to pile on. "It's all-encompassing," Jones says. "Where he's not holding events, he's not being responsive, he's not listening to the needs of the district." The Brat-Spanberger faceoff has been one of those races watched intently from beyond Virginia as Republicans work to keep their majority in the House of Representatives — and Democrats hope for a blue wave. Politico wrote that Brat was in the "hot seat" in September, declaring: "Reps. Dave Brat and Scott Perry rode the anti-Obama backlash into Congress. Now they're facing a very different kind of backlash." 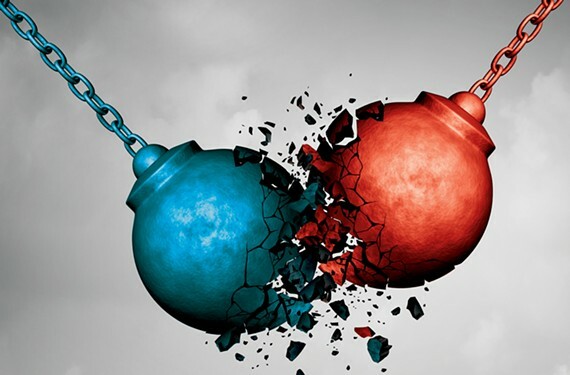 The race has been labeled a tossup by Sabato's Crystal Ball, from highly cited political science professor Larry Sabato at the University Center for Politics. "It still feels that way to me," the project's managing editor, Kyle Kondik, said last week. The 7th District may lean Republican, Kondik says, but Democratic Gov. Ralph Northam came close to carrying it, and Democratic Sen. Tim Kaine also may carry the district in his re-election bid against Republican challenger Corey Stewart. Another political number-crunching outlet also labels the race a tossup. As of last week, Nate Silver's FiveThirtyEight had called a 4-in-7 chance that Brat would win and a 3 in 7 chance that Spanberger would win — or 58.4 percent to 41.6 percent. The projection is based on a weighted average of polls, the site explains, in conjunction with "long-term trends in midterms and presidential approval ratings." While Brat has made national headlines as vulnerable, Spanberger has earned attention as one of a surge of female candidates across the country, a phenomenon covered locally and nationally. She appeared in Time magazine as early as January. 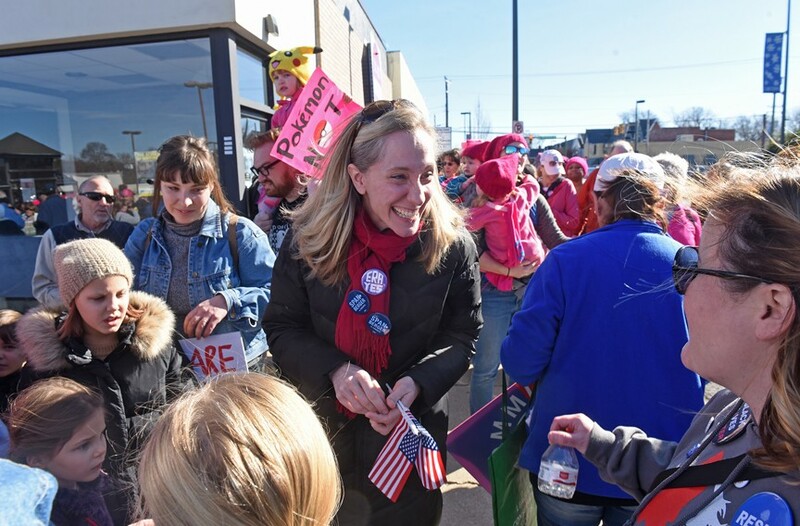 On Jan. 20, Abigail Spanberger greets supporters at the Women’s March RVA in Carytown. Political observers believe the nomination process for Supreme Court Justice Brett Kavanaugh could help bring more women to the polls for Spanberger. Spanberger's background as a former CIA officer also has added a twist to the national security issue — something Republicans generally perform better with, says Stephen Farnsworth, professor and director of the Center for Leadership and Media Studies at the University of Mary Washington. "I think that the Democrats generally have been very wise to put candidates forward with a significant national security background," Farnsworth says. National security has been a big part of the campaign's thrust, along with such issues as health care, immigration and the economy. Brat trumpets the country's economic boom, giving credit to Trump tax cuts and Republican policies for the prosperity. He wants to end and replace Obamacare, secure the borders, protect Medicare and become more fiscally responsible. Spanberger also says she wants to protect Medicare, opposing efforts to privatize it. She wants to end gun violence, advocates for more skills-based training programs in public education and wants to let states decide whether to legalize marijuana. The No. 1 focus, her campaign says, is health care. "It is making sure that those with pre-existing conditions are protected," along with lowering the cost of prescription drugs and making health care affordable and accessible. It is here where Brat and Spanberger have sparred in debates and campaign ads, with Spanberger saying Brat has voted against the protection of pre-existing conditions. Brat's campaign says that's false, and that he wants to reduce health-care costs and increase the quality of care using free-market solutions, not the government. Politifact Virginia weighed in, calling Spanberger's claim "Half True." Brat supported the proposed American Health Care Act, Politifact said, which would have allowed states "to request a waiver from a popular Obamacare provision barring insurers from discriminating against people with pre-existing conditions." But it notes that only a small portion of people would have been at risk. But whatever causes that the candidates may want to discuss, the issue is how to break through the clutter of the national noise. "We don't have a lot of good polling, but I still think it's a national race," says Rich Meagher, an associate professor of political science and director of social entrepreneurship at Randolph-Macon College. "And I think what happens in Washington matters more than what happens in the district." 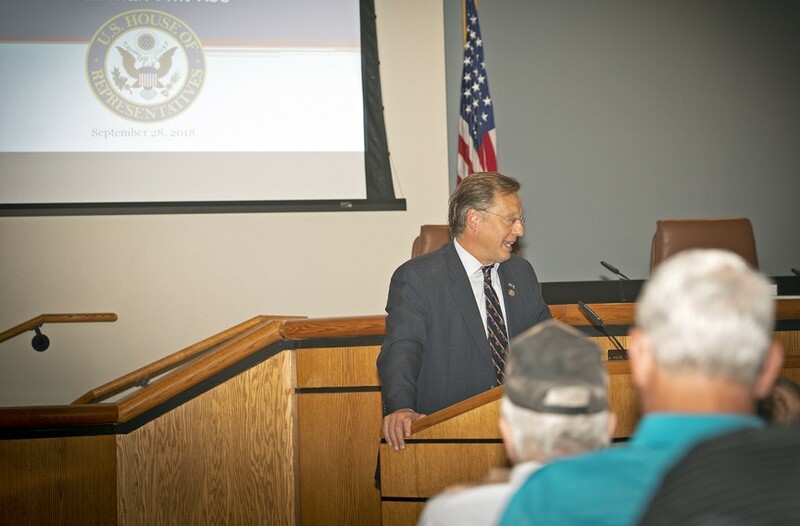 Dave Brat held a veterans’ town hall Sept. 28 at the Henrico County government complex. About 70 people showed up. 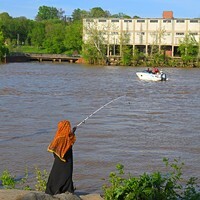 There was the hunt for the pipe bomber, last week's synagogue shooting and debate over rhetoric and civility. Thousands of people are marching toward the southern border of the U.S. And both sides harbor fury about the nomination process of Supreme Court Justice Brett Kavanaugh. "I think Kavanaugh's hearing and everything that's surrounded that is just going to re-stoke the fires of the left, of the Democrats," Meagher says. "And it's going to help candidates like Spanberger." Why? Because it motivates people politically to vote, Meagher says. Democrats will show up, as will women in big numbers. Brat will turn out his base but not much else — and it doesn't help that Brat has a thin record to run on, without a completely enthusiastic party behind him. "The energy is all on Spanberger's side," he says, "and it's against Brat." The other hurdle for Brat is the district itself. 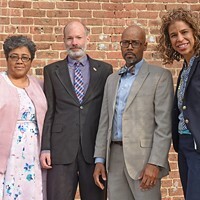 VCU's Keena, who published the book "Gerrymandering in America" in 2016, has been focused on the dynamics of the 7th District's reshuffling in 2016 by a federal court — an effect of racial gerrymandering in Virginia's 3rd District. "He ends up losing Hanover County and some of his important base of support," Keena says of Brat. That's one way he beat Cantor, he says, "now he's no longer even representing them." If it weren't for the redistricting, Keena says, Spanberger wouldn't even be in the race. But now it's competitive, with suburban voters in the West End, and those closer to the urban areas of Richmond. "If the parts of the district closest to Richmond have disproportionate high turnout," U.Va. 's Kondik says, "that's a winning formula for Spanberger." Campaign ads reflect that thrust. The highest levels of media spending hit last week, according to the Virginia Public Access Project, with Spanberger outspending Brat by $815,797 to $521,944 — all in the key Richmond market. Campaign contributions also tell a story of a candidate perceived as vulnerable. Brat raised $1.26 million for his race in 2016, and $1.47 million in 2014, according to OpenSecrets.org, a project of the Center for Responsive Politics. This time around, he's upped that to $2.36 million, according to the most recent financial records compiled by VPAP. Spanberger has raised more than twice that amount — $4.95 million. Add to that the levels of independent spending on the race, which has reached $6.45 million, according to the access project. A little more than $3.55 million has been directed toward messages supporting Brat, with $2.9 million supporting Spanberger. Spanberger speaks with supporters before a debate with Dan Ward at the First Unitarian Universalist Church on May 29. Spanberger is working to help traditionally Republican voters — especially women upset with Trump — feel more comfortable in voting for her. Which explains why Brat works to define Spanberger as a liberal ready to line up behind Rep. Nancy Pelosi, warning that the Trump agenda would be threatened and invoking what he says would be the nightmare of Pelosi as speaker of the House. Pelosi's name has been invoked many times during the campaign. "One of the things you do is run against the person you wish you were running against," Farnsworth says. "Midterm elections are about bringing up a level of voter motivation." The Brat campaign was unavailable to Style for an interview, but in a campaign email it sent Friday, the candidate lists questions for which he says the electorate hasn't received answers: What would Spanberger do about the Central American immigrants moving toward the U.S. border? Would she vote to impeach the president? Where does she stand on tax cuts? Meanwhile, a Spanberger ad hit television last week called "Our Mom," featuring her three young daughters talking about her and ending with Spanberger rounding them up to head out their front door, saying "service to country keeps us strong." For candidates trying to maximize their appeal, Farnsworth says, "vagueness can be a friend." For the most part, Meagher says, Spanberger has let Brat do the nationalizing while she can appear as a reasonable person who can beat him.